The arrival of succulent ripe pears in the farmers’ markets and grocery store produce departments signifies that winter has arrived. What better opportunity to use Nature’s fresh bounty of assorted pears to sweeten an otherwise mediocre green salad? 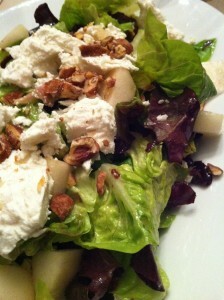 My favorite Pretty Pear Salad with Goat Cheese and Cinnamon Pecans will delight you! This salad is a mainstay at my winter holiday table. Everyone loves the sweet juiciness of the ripe pears, the crunchy spicy cinnamon pecans, and the creamy goat cheese. It’s an elegant salad that’s a big hit at a fancy or casual dinner party. 1. Rinse the Romaine lettuce, the radicchio, and the pear with water before chopping or slicing. 2. Chop the Romaine lettuce and radicchio and place in a large salad bowl. 3. 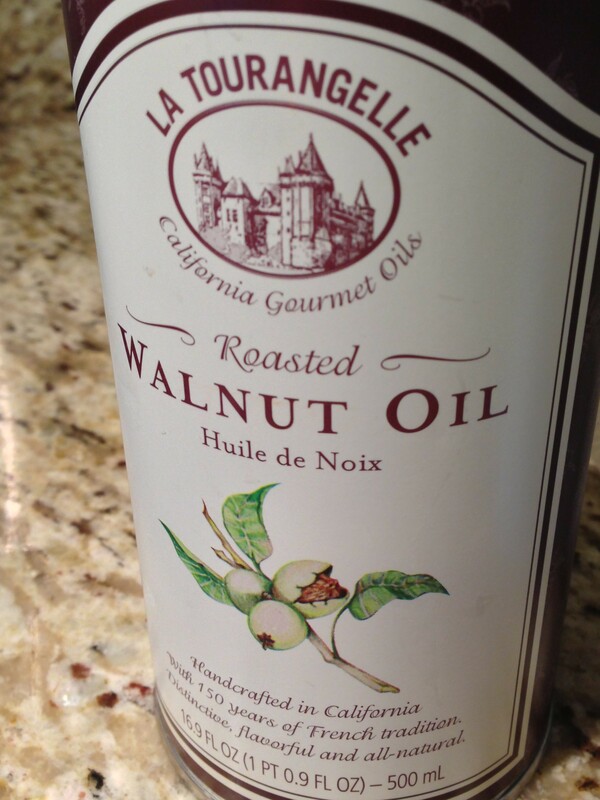 Add the Roasted Walnut Oil Dressing to the salad greens and toss well. 4. Divide the salad greens amongst 4 or 6 salad plates. 5. 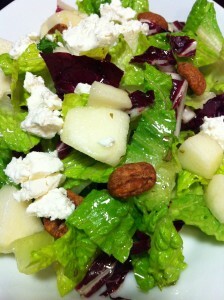 Peel and dice the pear, toss with the remaining 1 T of Roasted Walnut Dressing in the empty salad bowl, and set aside. 6. Divide the goat cheese chunks over the salads on each plate. 7. Divide the diced pear amongst the salad plates. 8. 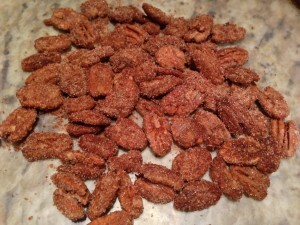 Sprinkle a handful of cinnamon pecans over each salad. Although this is a gorgeous salad, I don’t recommend using it as a buffet item since the pear will likely discolor. 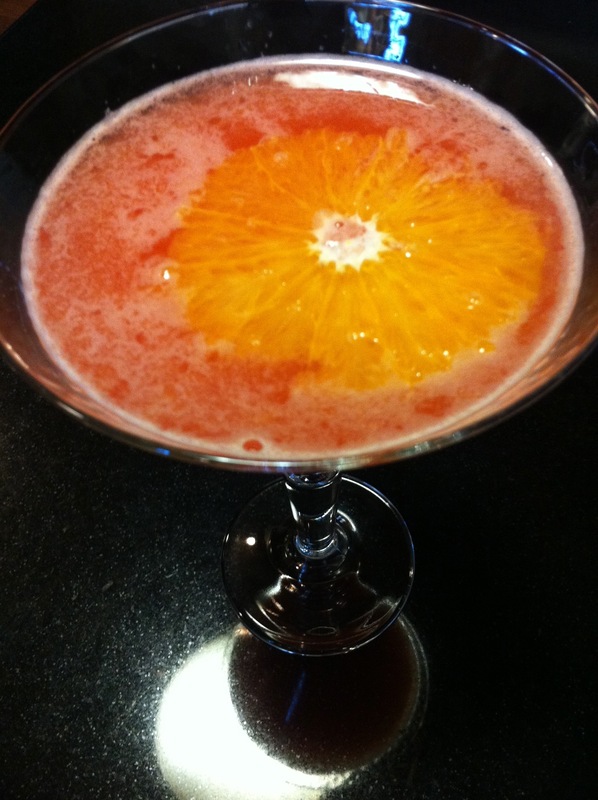 You can toss the pear in some lemon juice so it doesn’t brown as quickly. I’ve found the lemony taste to be a nice addition if it suits you. 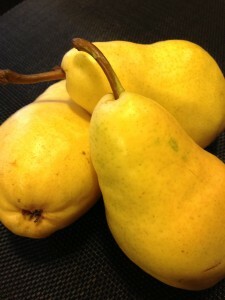 Usually, I just dice the pear at last minute and add it to the salad right before serving. You can also peel and slice the pear, and fan it out over the salads. And you can chop the cinnamon pecans if you prefer. Presentation is up to you. 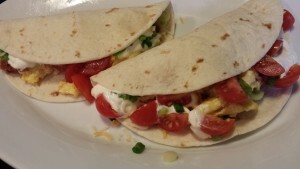 Variations: Use butter lettuce or green leaf lettuce instead of Romaine. Try red leaf lettuce in place of the radicchio. Substitute a tart green apple for the pear. Add dried cranberries for a sweet and tangy taste. 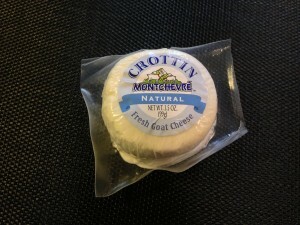 Use blue cheese crumbles instead of the goat cheese chunks. Substitute agave syrup for the honey in the dressing. And you can add more or less dressing. It all depends on your preferences. Combine the sugar and cinnamon in a small bowl. Melt the butter in a shallow pan. Add the pecans to the butter and mix well to coat them in the pan. Remove the buttered pecans from the pan and add to the cinnamon sugar mixture in the bowl. Mix well to combine so that the cinnamon sugar coats the pecans. Pour the pecans onto a piece of waxed paper and separate so the pecans don’t stick to each other. Set aside until ready to use. Combine all ingredients in a bowl and whisk or blend until emulsified. Makes about 1 1/2 cups of dressing.